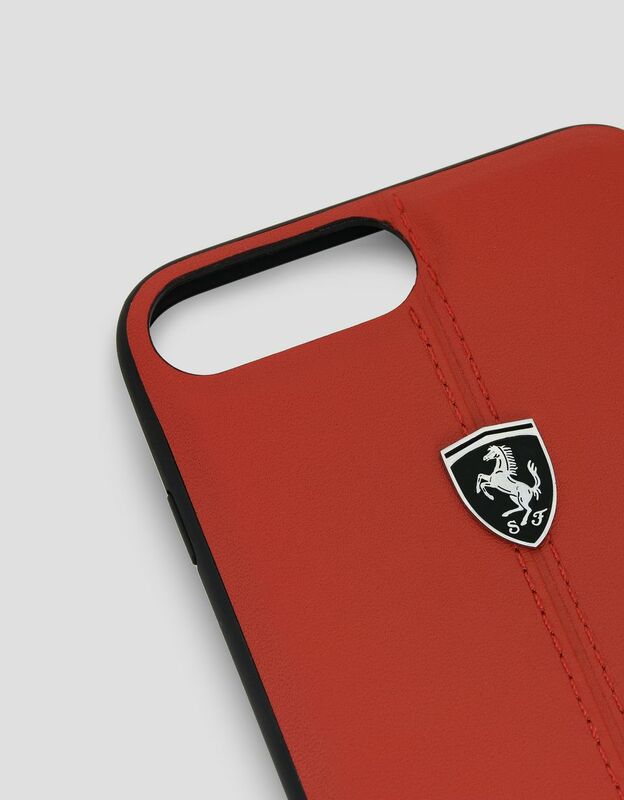 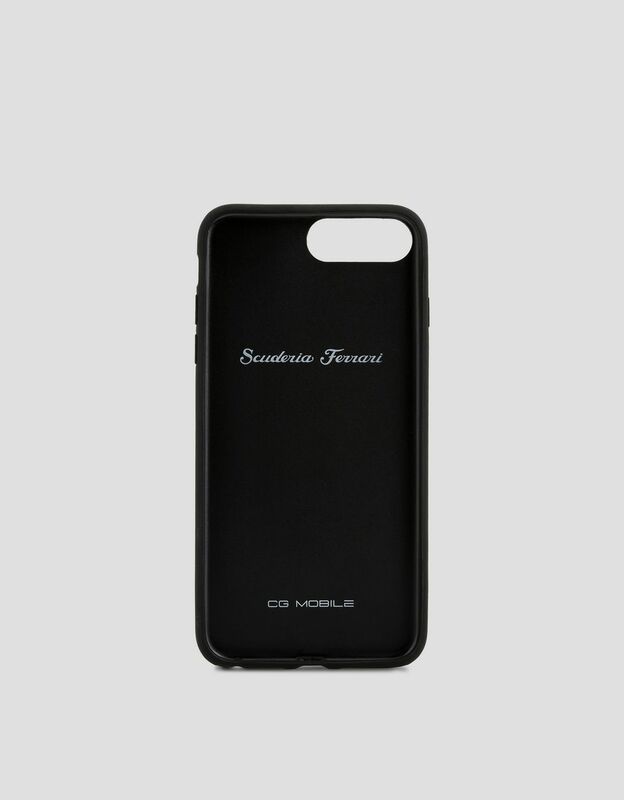 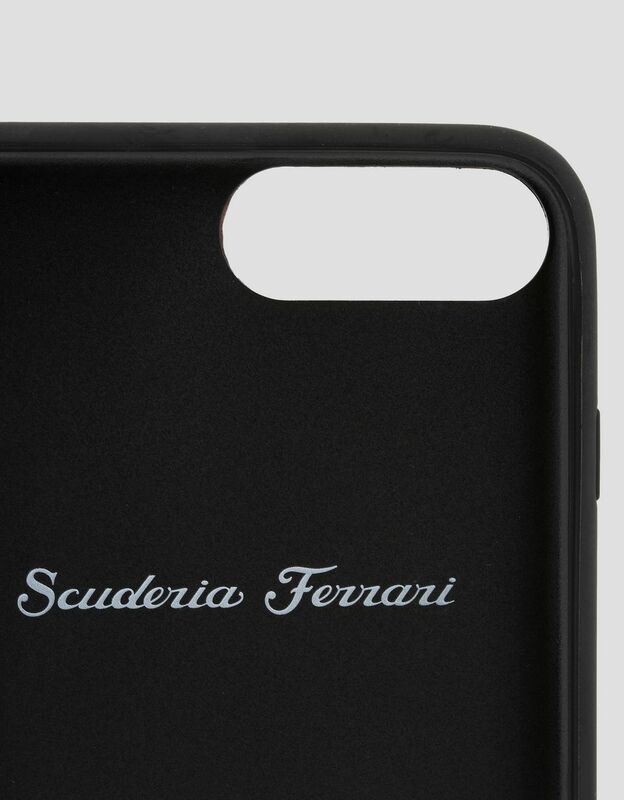 The design of the iPhone 7 Plus and 8 Plus leather case is characterized by visible stitching that recalls that of race car seats. 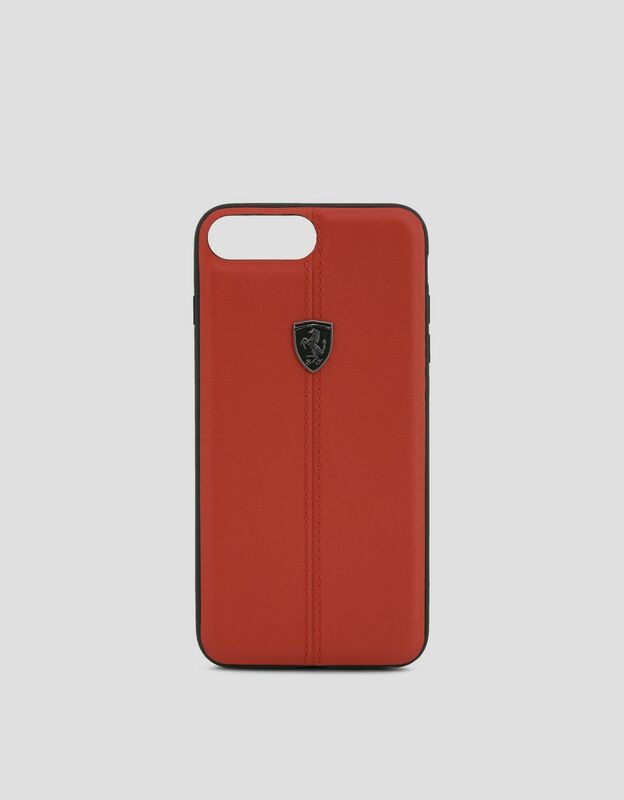 In its iconic red version, the iPhone 7 Plus and 8 Plus leather case blends sophistication and an athletic attitude. The race-inspired tone-on-tone stitching adds an elegant touch, as does the metallic edging in a contrasting color.